You can read about anything. There are over 30 types of genres. Examples from Paranormal romance to nonfiction. The options are endless and because there are so many different things to read there is bound to be something you like. You can take it anywhere. Unlike watching TV or movies, you can bring a book with you anywhere: a car, a bus, a plane, the park, the pool, and so many more places. Not to mention at school teachers do not get mad when you read a book in class. Libraries are free. Book can be expensive and they can add really fast. A great solution is can be going to your local library. Getting a library card cost nothing and you can check out books or free. Libraries have a large variety of books to choose from that cost you nothing. You learn new things.You learn new ideas and concepts all the time. From all the books you read your vocabulary improves drastically because you learn new word all the time. Reading also improves writing and speaking skills. Reading promotes creative thinking. When you read you use your imagination. When reading you can fill in the blanks of what the author does not provide. Reading open your brain to think creatively and help you express yourself more. Reading is stress relieving and anxiety. 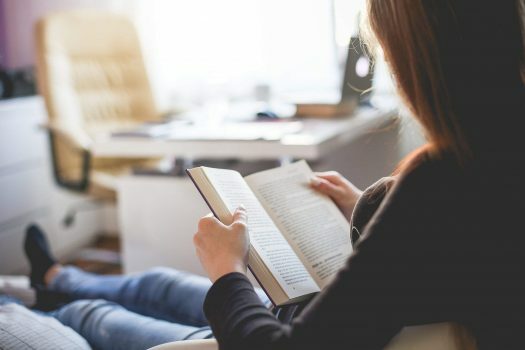 Reading for even just six minutes can reduce stress levels by two thirds. Reading before bed can help you relax and help you fall asleep faster than you would if you were on your phone. Reading is fun. Reading can be very entertaining. You can chose to read about any of the things you love and makes you happy. It can be an escape from the hard times of life. Content and multimedia content © 2019 The Wolf Howl. All rights reserved.